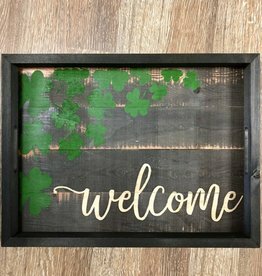 This decor will dress up a coffee table or bookshelf just in time for St. Patrick’s Day or year round when you need that touch of Irish luck! Measures approx. 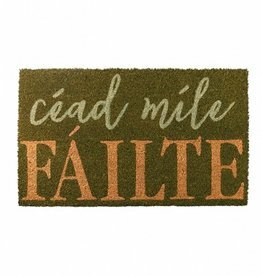 4.5 x 4.5 inches and is accented with glitter. 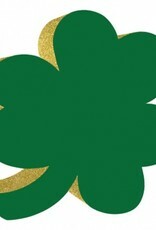 Dress up the table for your St. Patrick’s party!!! 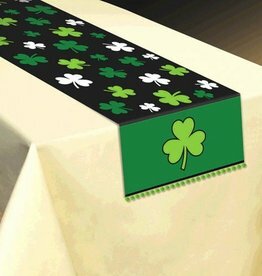 This fabric table runner is printed with shamrocks and accented with pom-poms. 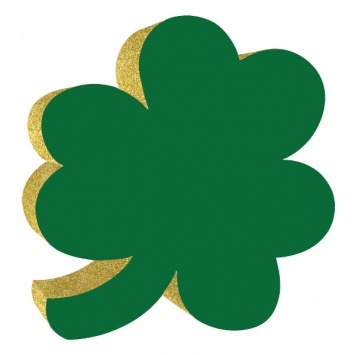 The wooden trellises found around many Irish cottage doorways inspired the Shamrock Trellis Collection. 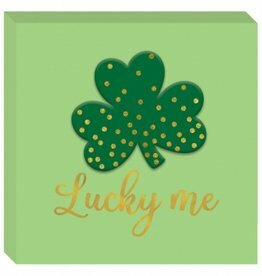 The Shamrock Trellis 5 x 7 Frame is handcrafted in Ireland of fine Parian China. 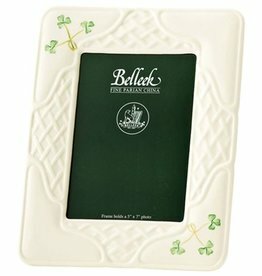 8.3"W x 10.5"H.
BELLEEK SHAMROCK TRELLIS FRAME 5X7"